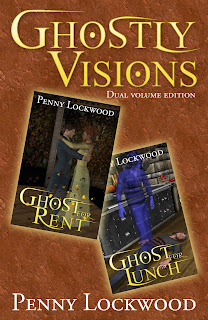 Today, I welcome Penny Lockwood, author of the middle grade ghost stories, Ghost for Rent and Ghost for Lunch, which are now combined into one conveniet book, Ghostly Visions. 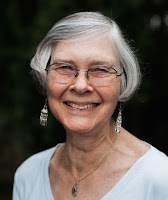 Penny and her books are from small town Oregon and she's here to talk about why she chose these adorable little towns for her stories' settings. Ghostly Visions is a two-for-one book for grades four, five and six, containing Ghost for Rent, set in Scappoose, Oregon, a small rural community of about 6,700 people, and Ghost for Lunch, set in St. Helens, Oregon, the county seat for Columbia County, and home to about 13,000 people. Why did I choose these small towns for my stories? It’s simple. I followed the basic rule of writing: write what you know. In September 1978, my husband and I moved from California, where we met, to Scappoose, Oregon. We fell in love with the rural area, the friendly people, and the beautiful countryside. I could have chosen Connecticut where I grew up or California where I lived for a year, but I chose Oregon since this is where my children were raised. When she was much younger, my daughter insisted I wasn’t a “real” writer since I had never published a book but published short stories and non-fiction articles instead. As a challenge to myself, I wrote Ghost for Rent (first published in 2002 with Hard Shell Word Factory, now defunct, and revised for this edition). I enjoyed the characters so much I went on to write Ghost for Lunch. My publisher, 4RV Publishing LLC wanted to present both books together and thus Ghostly Visions was born. Scappoose is about 30 miles northwest of one of the major cities in Oregon—Portland. Wendy, the main character, begins her life in Portland and soon finds herself along with her brother and mother in Warren, a rural area between Scappoose and St. Helens. My husband and I lived in Scappoose when we arrived in Oregon for about five years before moving to six acres in Warren. Our children both attended Scappoose Schools, including Otto Petersen Elementary School, where Wendy goes to school in Ghostly Visions. Since I’m quite familiar with the area, and not many books are set in Columbia County, Oregon, it made sense for me to place my characters here. Whenever I needed inspiration for a scene, I just had to look out my office window at the fields outside our home, or drive along one of the many back roads. In fact, the idea for Ghost for Rent came from a neighbor. She mentioned hearing piano music playing in her rental home although no one was near the piano. It was easy for me to find a house to use as inspiration since there are many older farm homes in need of repair in the area. Scappoose is a very family-friendly town. It has grown quite a bit since we moved here 38 years ago. While it didn’t have a pool or cinema when our kids were young, there has always been enormous support for sports activities such as soccer, baseball, and basketball both within the school and league teams. Access to a pool and cinema were seven miles up the road in St. Helens. We are within sight of some of the major peaks of the Cascade Mountains such as Mt. St. Helens, Mt. Adams, and Mt. Hood. We are reminded daily of how lucky we are to live in such a beautiful part of the country. When my children started school, I found full-time work in St. Helens. Once again, it was easy to place my characters there since I spent many hours traveling back and forth, working, shopping, eating, and walking around the area. The second of the stories, Ghost for Lunch, is set more in St. Helens and centers around a former hotel that has been turned into a restaurant. The inspiration for this story came from a news article about one of the local restaurants that is reported to be haunted. Since I worked around the corner from this restaurant and have eaten there numerous times, it made sense to have Wendy’s adventures take place there. St. Helens is a lovely area with both an “old” town and a new town. Originally, it was two towns, Houlton and St. Helens. St. Helens was the area down by the river and was the major port city along the Columbia River until the docks burned down around 1853. While repairs were made, the ships went further up the river and docked in Portland. Soon Portland took over as the major shipping port along the river and St. Helens lost its hold on the shipping industry. There are many stone buildings in old town, including the original courthouse built in 1906 and City Hall that formerly housed a bank in the early1900s. St. Helens has been the location of a few movies including Halloween Town and Twilight. Currently, both Scappoose and St. Helens are much different from the time period of the books, which are set in the 1990s. When Wendy and her family first move to Scappoose, it has no major shopping areas. There is one area for a grocery store, a pharmacy, and a hardware store. Now, the town boasts a Sears appliance store, Fred Meyer Shopping Center, a Goodwill Super Store, a Bi-Mart, numerous restaurants, banks, hair salons, a multi-plex cinema, and other essential stores for local residents to do their shopping. Other changes are coming as Portland Community College expands to the area. The closeness of Scappoose and St. Helens to Portland, make them ideal places for folks to leave city living and yet be within commuting distance of work, major restaurants, theatre and other entertainment. St. Helens has also changed. While it originally had a selection of local stores, many of those have closed down such as J.C. Penney, A &W, Tony’s Shoes, St. Helens Book Shoppe, and others. Many of these closed when Wal*Mart moved in. Others closed down when the economy failed. Still others, such as Dari Delish mentioned in Ghost for Lunch have survived over the years. The old town until recently housed mostly antique and thrift shops. Now, there is a push on to renovate this area and bring in new businesses and develop the waterfront. I tried to maintain some accuracy to the time period, but again, I allowed myself some leeway. While writing the stories, I did take some artistic liberties and added streets that aren’t in the area, such as Lockland where Wendy and her family reside. Descriptions of the old Scappoose Library and the moon rising over the Columbia River, however, are accurate. I did take a bit of liberty by stating the Columbia River is visible from the hotel/restaurant since it is actually a block away from the river. Ghostly Visions is about ghosts, but it’s also about the importance of family and friends. Wendy Wiles attracts ghosts, first in Ghost for Rent, when her parents separate and she, her brother, and mother move into a haunted house. 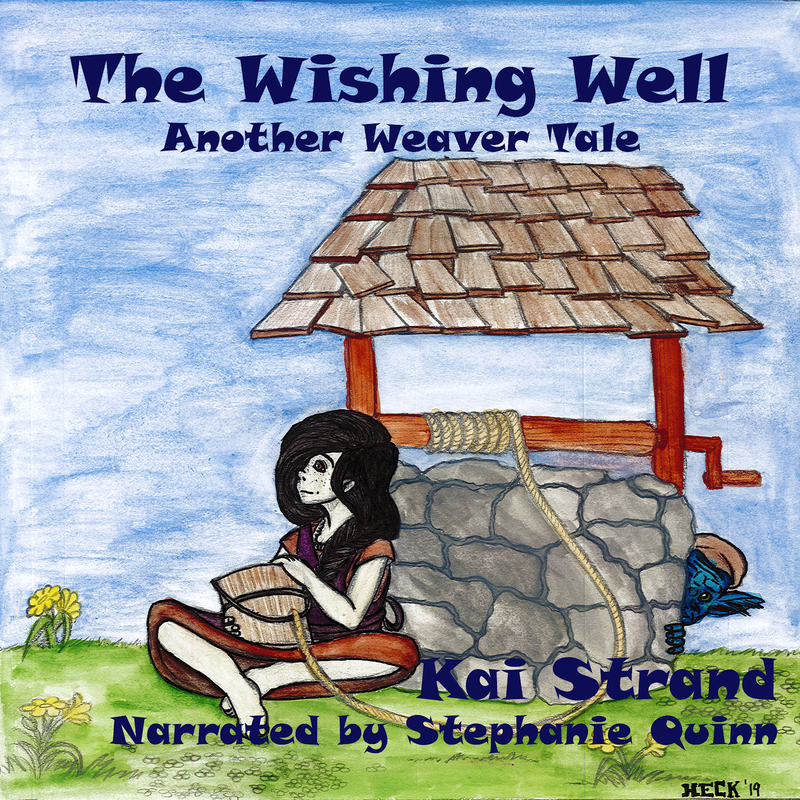 The story begins in Portland, Oregon and quickly moves to small town, Scappoose, Oregon. Miserable at leaving her friends and beloved Portland behind, Wendy meets her neighbor Jennifer who tells her the house Wendy’s mom rented is haunted. After two of them appear to Wendy, the girls find themselves tracking down the mystery of who the ghosts are and why they "live" in the Wiles' home. 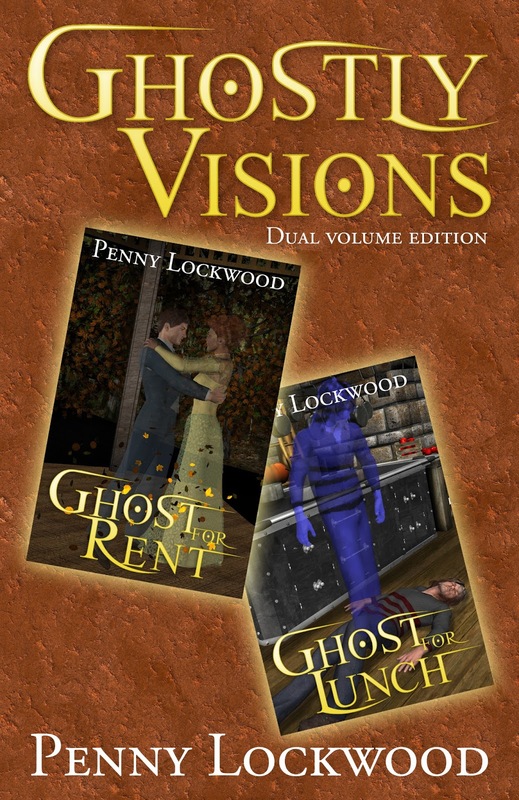 Ghostly Visions is available direct from the publisher 4RV Publishing LLC for $15.99 including shipping and handling: http://www.4rvpublishingcatalog.com/penny-lockwood.php. It can also be ordered from your local bookstore with the following ISBN numbers: ISBN-10: 0982642326, ISBN-13: 978-0982642320, or through Amazon, for $18.99 http://www.amazon.com/Ghostly-Visions-Ghost-Rent-Lunch/dp/0982642326?ie=UTF8&keywords=ghostly visions&qid=1465503637&ref_=sr_1_1&s=books&sr=1-1. Thanks for taking the time to read and comment. If you get a chance to read Ghostly Visions, let me know what you think. Kai, thanks for hosting me today. Congratulations, Penny. I'm so happy for you. I remember reading the first book and look forward to reading it again with new changes and also the second book. See you next month on my blog. Best of luck to you. Thanks for stopping by Bev. You have been such a long time cyber friend and supporter. It's exciting to see how well you've been doing, too. I've never been in that part of the country. It sounds beautiful. I'd like to read the books to find out about the setting. Of course, can't beat a ghost book. Thanks, Penny & Kai for the post.